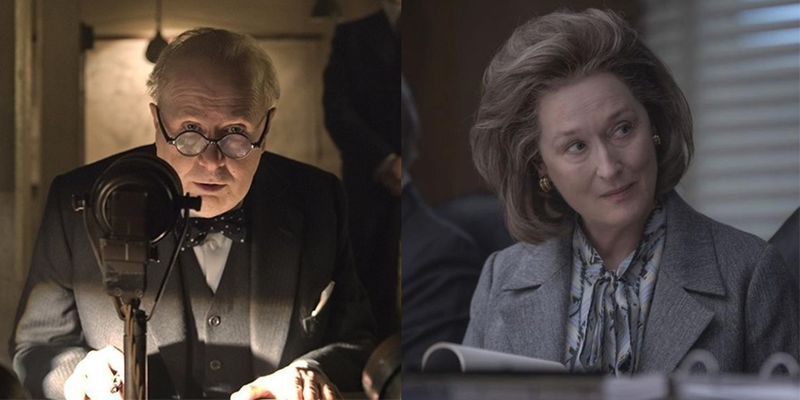 This past awards season saw two biopics receive much attention: Darkest Hour, focusing on Winston Churchill, and The Post, focusing on Katharine Graham. Both matched expectations, receiving strong reviews and racking up many awards nominations, with Darkest Hour garnering six Academy Awards nominations, winning Best Actor and Best Makeup, and The Post receiving six Golden Globe nominations. But contrary to most biopics, both defied expectations when it came to theatrical box office performance; both did incredibly well, with Darkest Hour making nearly $147 million at the worldwide box office and The Post making $172 million worldwide. The critical and financial success of these films seem to point to a trend. Since the start of this year, we have seen many announcements of biopics going into development or production. In January, Aretha Franklin handpicked Jennifer Hudson to portray her in a biopic Queen of Soul. In March, we got our first look of an unrecognizable Renee Zellweger in an upcoming Judy Garland biopic. Madonna also announced she will be directing a biopic about ballerina Michaela DePrince. Dennis Quaid will be playing Ronald Reagan in a biopic. And the list goes on. And it’s not just the US that has a renewed interest. Many foreign countries are now producing biopics, focusing on figures that they hope will draw local audiences. India will soon release a biopic called The Accidental Prime Minister, on former Indian prime minister Manmohan Singh. China and Canada last month announced that they will co-produce a film about Norman Bethune, a doctor who at the turn of the 20th century, during the Second Sino-Japanese War, effectively brought modern medicine to rural China and treated both sick villagers and wounded soldiers. The Czech Republic also just announced they will be making their most expensive film ever, focusing on the 15th century Czech warrior Jan Zizka, co-produced by Hollywood producer Cassian Elwes. But why are biopics still being made, and, arguably, even trending right now? Biopics are known to be risky investments, as many often flop at the box office. And they are notoriously difficult to get into production, with various rights clearance and legal fees involved in bringing a ‘true story’ to the screen. Let us look at the three factors that contribute to biopics making it into production as films or television series, and why specifically The Post and Darkest Hour found success. Many recent films have pushed the limits of a ‘biopic’, as when we traditionally think of the genre, we think of a film that covers the entirety of a historical figure’s life. But in recent biopics, this has not been the case. In fact, in the last few decades, the time covered in a ‘biopic’ has got shorter and shorter. Rather than even just focus on a few years of someone’s life, the focus in on a few weeks or a few months, in which a pivotal event takes place. What was key to the success of Darkest Hour and The Post each focused on a short amount of time of the lives of Winston Churchill and Katharine Graham, respectively. David Scarpa, the screenwriter behind Ridley Scott’s All the Money in the World, reportedly said in an interview that audiences no longer want to see cradle-to-grave biopic, but expect filmmakers to find the most exciting event and magnify it. Scarpa said “I think the way to go now is to find the fascinating chapter in somebody’s life and really explore that. You can find out as much about somebody in a single incident as you can by telling their entire life.” All the Money in the World did just that, focusing on the short period of time when John Paul Getty’s grandson was kidnapped in the 1970s. The focus on the film was not J. Paul Getty himself, who was considered a supporting role, but on his daughter-in-law, Gail Harris. Scarpa based the screenplay on John Pearson’s 1995 book Painfully Rich: The Outrageous Fortunes and Misfortunes of the Heirs of J. Paul Getty… which leads us to our next point. In today’s environment, where studios and production companies are fighting for audiences, executives love to have proof of concept before moving forward on projects. Whether that be a successful book series, a television series, or even a video game or toy, knowing the audience is already there helps bring in the financing, as well as market the films and tv series. So in the case of biopics, having a successful biography to adapt into a film, or simply a influential historical figure, there is naturally more interest. But in our age of information, where people think they already know all there is to know, the key to biopics is to provide details about the events that the general population didn’t know. The Post and Darkest Hour both successfully did this, with The Post not only revealing Katharine Graham’s role in the pentagon papers, but her struggles as the first female publisher of a major American newspaper, and Darkest Hour focusing on an often ignored period for Winston Churchill: the early days of him being prime minister, leading up to WWII. In 2016, we saw this also with the series People v. O.J. Simpson: American Crime Story. The series was based on the book The Run of His Life: The People v. O.J. Simpson. The writer of the book Jeffrey Toobin, who was a journalist actually present through the whole O.J. Simpson trial, expressed in an interview with Vulture why this story and other stories based on people’s lives, often don’t get made. Toobin stated “One of the reasons why I think no one ever did a movie or TV version previously is because there were two misconceptions: that people were sick of it, and everybody knew the story already. I always knew that both of those were wrong. It took [executive producers Brad Simpson, Nina Jacobson, and Ryan Murphy] to figure that out… [as a consultant on the series] I understood from the beginning that this was not a documentary… I was there to help preserve the essential truth of the story in a dramatic context.” And Toobin’s hunch proved right. With an all-star cast including John Travolta, Cuba Gooding Jr., Courtney B Vance, Sterling K. Brown, Sarah Paulson, and David Schwimmer, the mini-series garnered 22 Emmy nominations and took home nine awards. Three of those awards were for acting… which leads us to our next point. Stars want to be involved because of award contention and critical acclaim. Since 2004, nine of fourteen Academy Awards for Best Actor have gone to actors portraying a real life character. And in the last decade, half of the Best Picture winners were based on true stories. That is pretty good odds if you’re looking to solidify yourself as a serious Hollywood actor. Actors embrace the challenge, because they are not creating the character, and don’t risk people saying they are just playing themselves. Rather, they are responsible for undergoing cosmetic changes, mastering the mannerisms, and vocally replicating the elocution style of a historical figure. Looking at Gary Oldman’s Oscar-winning performance in Darkest Hour, where he spent over 200 hours in a makeup chair, we can see why he was eager to sign on. And The Post saw one of the quickest production timelines in film history, with the script being optioned in October 2016, sold to 20th Century Fox in December, by January having Steven Spielberg, Tom Hanks, and Meryl Streep sign on (within a week! ), and then in production by May. Stars are drawn to historical dramas, specifically if they have the chance to portray a real-life historical figure. For example, Jessica Chastain received acclaim last year in Aaron Sorkin’s Molly’s Game, based on Molly Bloom’s autobiography, and she also starred as WWII hero Antonina Żabińska in The Zookeeper’s Wife. Chastain also recently signed on to portray screen legend Ingrid Bergman in Seducing Ingrid Bergman. Jennifer Lawrence has been part of this trend too, signing on the star as Zelda Fitzgerald in upcoming film Zelda, as well as Marita Lorenz, the young American mistress of Fidel Castro, in upcoming Marita, and as free-diver Audrey Mestre in The Dive. So if mega Hollywood stars want to be in biopics like this, there is a good chance they will be made. But as said before, portraying a real-life person on screen doesn’t ensure box office success or critical acclaim. In 2015, the much-anticipated Steve Jobs film, written by Aaron Sorkin and starring Michael Fassbender and Seth Rogen, grossed only $17.8 million in the US, and only received two Oscar nominations. In 2016, coming off his win for Best Actor at the Oscars for Birdman, Michael Keaton starred as McDonald’s founder Ray Kroc in The Founder. But the film only made $12.7 million domestically, and got no major award nominations. The same year saw Natalie Portman portray Jackie Kennedy in Jackie, for which she received nominations for Best Actress, but the film only brought in $13 million domestically. And last year’s Battle of the Sexes, starring Emma Stone and Steve Carell, about the 1973 tennis match between Billie Jean King and Bobby Riggs, grossed less than $13 million domestically and didn’t receive any Oscar nominations. Biopics make no promises as to their profitability, but when they hit with audiences, they can really pay off. Darkest Hour and The Post offer the best of biopics, and showcase how biopics can achieve both financial and critical success. If biopics can focus on a short period of time or a specific event, and bring new light to the figure involved, as well as boast a strong cast and strong source material, they may be looking at success. Look for a new batch of biopics in coming years, which will inevitably have box office success stories, as well as box office flops. Katherine Sanderson is a graduate of John Paul the Great Catholic University’s MBA in Film Producing (Class of 2016).